Since smartphones exist, the mobile phone market with the most “mainstream” brands has almost always been accompanied by critiques. There are those who have always called them imitations, those who call them unreliable and those who diminish them in many other ways. But in the end the Chinese Android smartphone market in the world has never died, indeed, it has grown more and more until it reaches the level of the best known brands and even surpasses it. 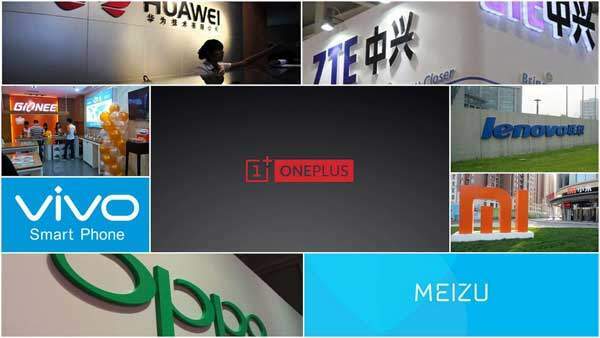 Suffice it to think of giants like Huawei and Xiaomi who in a few years entered the top 5 of the most important brands in the world to understand it. The fact that devices from China are generally very cheap compared to other prices, the most popular ones is definitely what pushes the user base to move on these devices. But if on one side in this sector you can find crazy smartphone offers, on the other you can hide some pitfalls. The lack of knowledge of mobile phones can, in fact, lead to a wrong comparison between technical features that seem better but in reality, they are only on paper. This is why many times we find ourselves mistakenly thinking that a device below cost from China is a better smartphone than any iPhone or Samsung that costs three times. If you compare them well, however, it is really possible to find the kings of the quality-price ratio, which at a price of hundreds of euros lower offer similar performances to far more expensive terminals. That’s why in this guide we’re going to find out which are the best Chinese smartphones you can buy in 2018 and what are the strengths and weaknesses of these cheap Android devices and promotions you can take home with. How does the warranty work with Chinese smartphones? Why are they often so cheap? What are the best brands from China? In the mind of a layman a problem immediately arises when it comes to Chinese Android smartphones: how does it work with the warranty? What happens if a delicate borderless screen breaks, if the 4G does not work or if there are other defects since the day of purchase? Well, there are 2 main factors that determine the answer to these questions. The first is the brand: are you going to buy Chinese smartphones of a brand present in Italy or are you going to import directly from China? In the first case, you can certainly benefit from the manufacturer’s warranty, while in the second case no. But in the second case there can still be advantages: in fact, if you import from China you can save several euros, although you have to renounce the manufacturer’s warranty. However, we must warn you that waiving this could release anyone from any responsibility on your device, or force you to send your smartphone back to China and pay the costs in case of problems. The second factor concerns the place where you buy Chinese smartphones, which are sold on online or physical stores. The guarantee, in fact, varies from store to store. For example, if you buy from Amazon, you are entitled to a 2-year warranty which provides for reimbursement or replacement in case of any problem excluding accidental damage. Other shops will have their conditions instead. The reasons are the most diverse. In addition to all the speech of the guarantee of the previous paragraph, there are many other reasons why you find cheap Chinese smartphone to the point of costing half of the best-selling smartphones while having the same specifications. One may be the fact that they are produced by underground companies, not very famous and which need to grow. In this case, however, you may be faced with devices or clones of the best Chinese or international smartphones that despite being mid-range or high will receive few or zero software updates. Another reason may be the little care in the materials or the little software optimization, despite being in front of top-of-the-range devices with the latest innovations in the field of innovation and components. You may also find yourself in front of Chinese smartphones with custom ROMs that have instability problems or have limitations, so you should spend at least a few hours changing the software following tutorials. These are just some of the reasons why a cheap Chinese smartphone can cost very little, so you need a very careful evaluation to find the best phones. In the list below, we have included the key points on which we put the accent to choose the best Chinese smartphones for all user groups and for every need. The best devices you find in our rankings excel both in reviews and in everyday use for all or most of the following specifications. Design: constructive quality, aesthetic beauty, and compactness are becoming increasingly sought after qualities in Chinese smartphones and more mainstream brands. Included in the build quality there are characteristics such as impermeability and solidity of the materials. Display: from 5 inches upwards, we evaluate a huge number of parameters to make a judgment on the screen. The diagonal is undoubtedly important for everyone, but not just the thumbs. We need to evaluate the technology used (LCD or AMOLED), the resolution that decrees the degree of detail (HD, Full HD, Quad HD etc. ), brightness, color fidelity and much more. Hardware and performance: Qualcomm processor, MediaTek or other companies? What processor model? How much RAM memory? Important questions to be answered to understand how the performance of Chinese smartphones is. But do not think that counts only this to evaluate the performance: just to give an example, if the optimization of the software is poor, then even with the best components the performance may disappoint. Software: although Chinese smartphones are all Android, their interfaces change according to the manufacturer’s customizations. Some are better optimized, others have an infinitely higher number of additional features, others still receive more updates than the standard, and so on. The software can become as important as hardware. Camera: by now everyone takes photos and record videos with the phone. None of the Chinese smartphones and it does not come close to the quality of a high-end Reflex, but if the camera is of quality you can still take out amazing shots. Battery: smartphones have become all-around devices, and this went to the disadvantage of batteries, forced to support a huge load of components and use. This is why they last very little compared to old-fashioned phones, and that is why without a good battery that is also well optimized the experience of using a mobile phone of any kind can be invalidating. 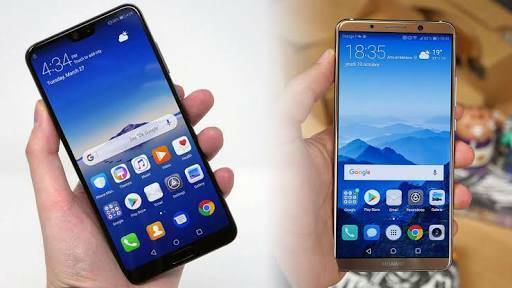 The prices of Chinese smartphones and the best brands have risen significantly in recent times, so it has become difficult to find worthy devices in the lower range, that is under 100 euros. This Doogee, however, is an exception. When the budget is so low, what is more, convenient to do is buy non-mainstream Chinese smartphones, which are less well known and have more competitive prices on the lower end. 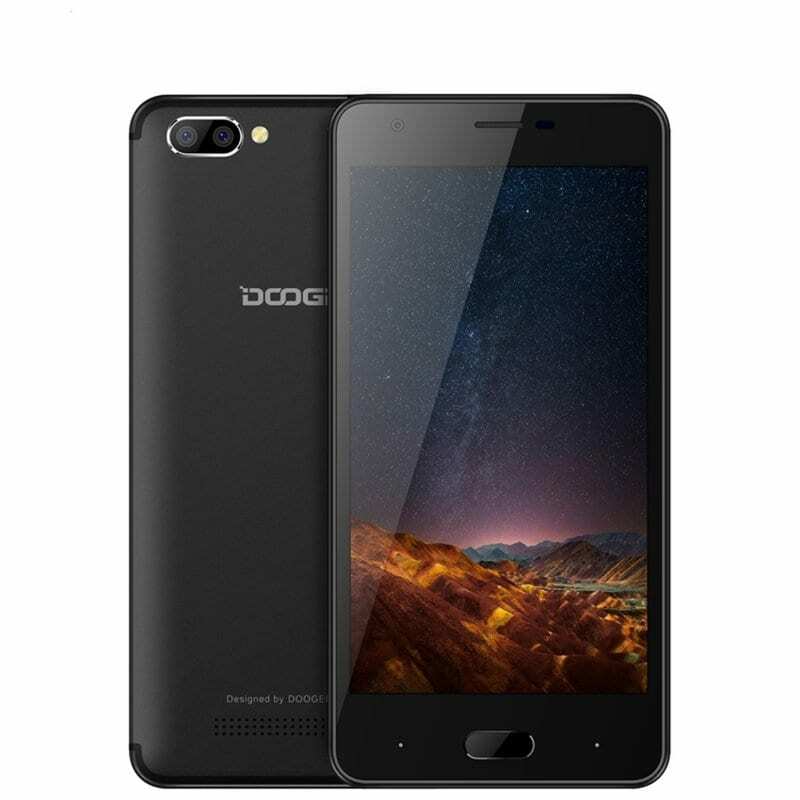 It costs just over 50 euros this Doogee, and yet it has 2 GB of RAM and 16 GB of internal memory inside, unavailable at such a low cost. There is also the MediaTek MT6737 processor which is certainly not the poorest, and a beautiful metal design typical of much higher end devices. The rest of the features are low-end but still remain over the sufficiency for everyday use. We have a 5-inch HD screen, a front Home button, and even a dual camera, even if only 5 MP and only valid for emergency shots. Another surprise is certainly the presence of a dual SIM slot with lots of 4G LTE to navigate quickly. When buying extremely low-priced Chinese smartphones, the first thing you should notice is autonomy. The display can also be low resolution, the cameras are almost always quite disappointing on this band, but it is something you can do without. Battery life, however, is very important on these devices, so that they are not uncomfortable and unusable. And that’s why we recommend Motorola Moto E4 Plus with its 5000 mAh battery, one of the biggest. Together with the great optimization of the components is able to easily reach the 2 days of autonomy, even if the use is not bland. The design is certainly not among the most compact due to this huge battery, but on the other hand, there is a large one 5.5-inch display that is very convenient because very large, even if it has a resolution only HD. Another strong point for which this smartphone should be chosen is the 3 GB of RAM, many in relation to the price, to never have slow down even with a large number of open apps. The RAM is supported by a MediaTek MT6737 SoC and 16 GB of internal memory. Another advantage is the micro SD slot to expand the memory separate from the dual SIM slot, so you can use 2 SIM cards + an expansion card. Not bad but not even the 13 MP camera, but for the price there is. There is also a front LED flash to take a selfie in the dark. An excellent Android stock experience that helps improve performance. 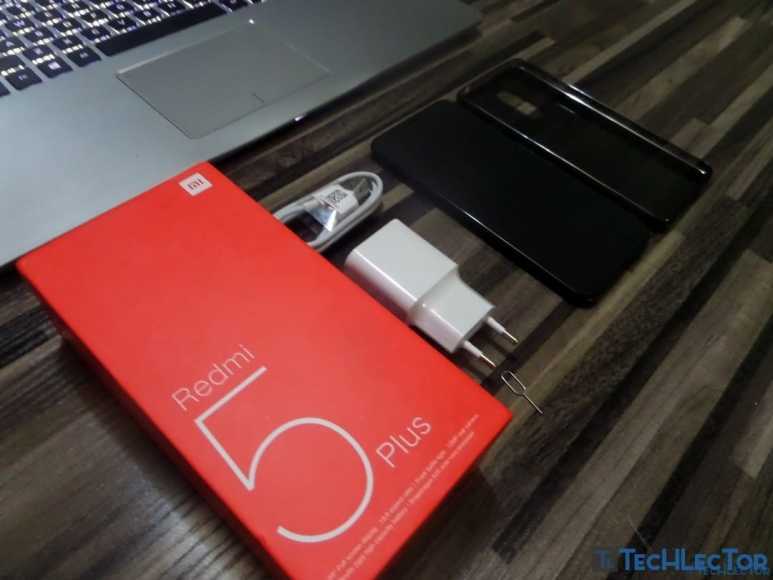 Value for money is what best describes Xiaomi Redmi 5 Plus, the perfect compromise (to say the least) between performance and convenience. Comes with a classic metal design and a 5.99-inch display in Full HD + and with a format of 18: 9: technical features that unite the vast majority of Chinese mid-range smartphones. The hardware side, on the other hand, is astonishing if we think about how much the device is sold. It consists of a 2 GHz Snapdragon 625 processor, up to 4 GB of RAM and up to 64 GB of internal memory. With this arsenal, even if we are not in the high end, there are few things that can not be done. Any app runs sufficiently, even the heaviest, and even in multi-tasking, you get great satisfaction. There are 12 Megapixels of camera always prominent in relation to the price. But the feature that really makes the difference is the battery: 4000 mAh capacity for a stellar autonomy, thanks to the optimization of the Snapdragon 625 processor, among the most efficient in the world in terms of energy. If the use is not extremely stressed, the battery lasts a full 2 days. 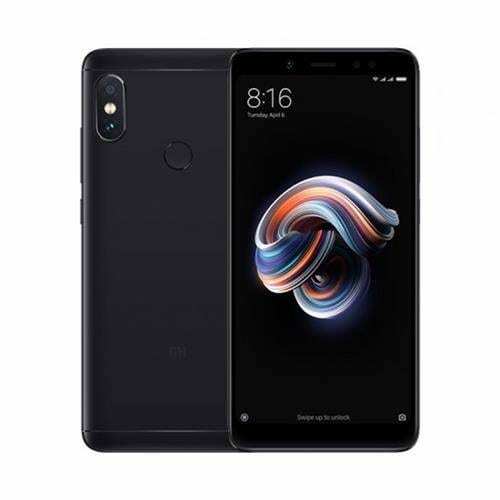 The Xiaomi Redmi 5 Plus is available in 2 variants; lower model having 3GB RAM and 32GB ROM is presently available for order at $165.99 with a discount of 10%, while the top model with 4GB RAM and 64GB ROM is sold at $189.99 with a discount of 9%. Both variants can be purchased from GearBest. 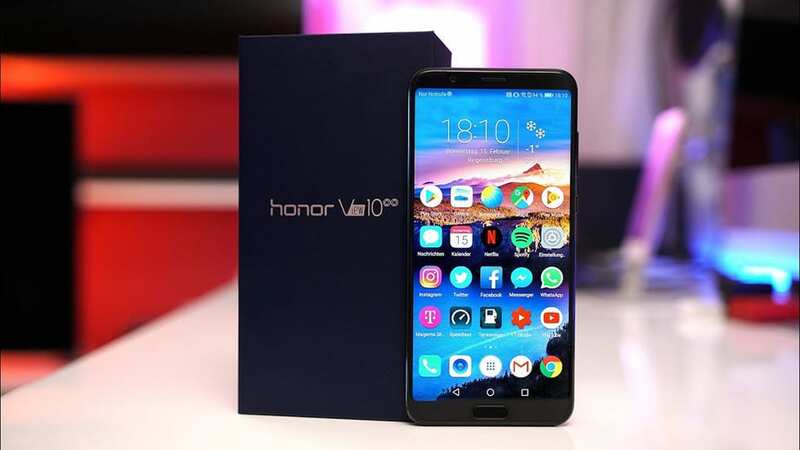 This Huawei Honor 9 Lite focuses mainly on what it usually never excels when it comes to the mid-range: the design and the photographic industry. 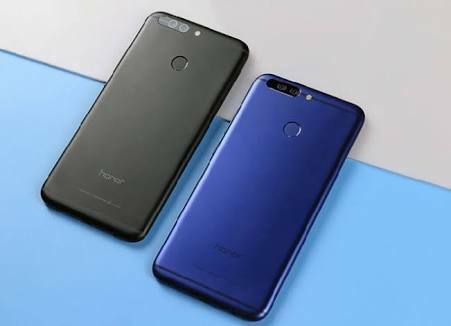 Companies that create midrange terminals save on materials to be competitive, but Honor 9 Lite has a very refined glass body and a metal profile just like the top of the range. There are then 4 cameras on this Chinese smartphone or 2 double cameras with resolutions of 13 and 2 Megapixels. Both on the selfie side and on normal photos, the performances are well above average for a midrange. The rest of the specifications never disappoint, and it is not easy to find such a complete device at its price. Offers a 5.65-inch Full HD + display, a 2.36 GHz Kirin 659 octa-core processor, 3 GB of RAM and a 32 GB memory: the classic mid-range arsenal that runs smoothly in everyday use. Finally, we have a more than 3000 mAh battery. The benchmarks have shown that the performance rating of this Chinese smartphone is close to that of the top-of-the-line Qualcomm Snapdragon 820 of 2016, and they are not at all wrong. While remaining at a low price, Xiaomi Redmi Note 5 Pro is really snappy and lacking in defiance in terms of performance. And this thanks to its Qualcomm Snapdragon 636 processor and 3 GB minimum RAM (there are also versions of 4 and 6 GB), which behave very well in every area. From games to heavier apps, everything is handled in a satisfactory way, even if it is not a top model. 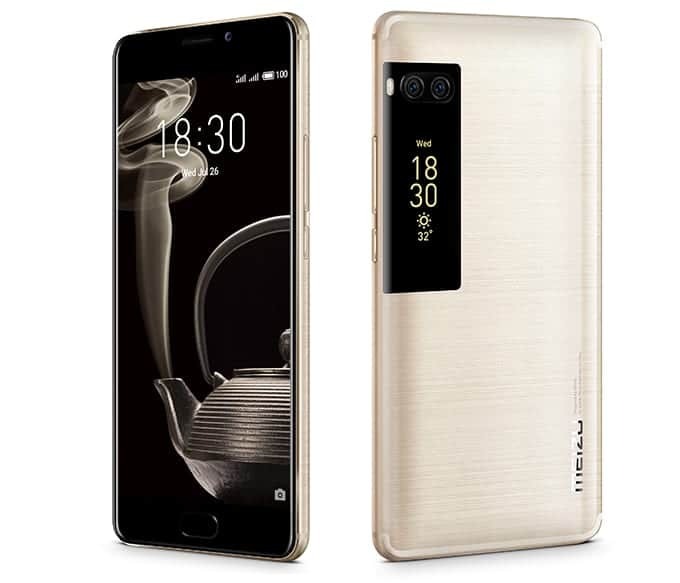 The metallic design is very solid and cared for, while the screen is 5.9 inches with Full HD + resolution and 18: 9 format: has a good color rendering. Autonomy is another of its strong points thanks to battery 4000 mAh able to last 2 days of use stress. And even the dual 12 Megapixel camera can often impress when the lighting conditions are good. So this is an extremely complete device that goes beyond the simple middle range of Chinese smartphones. 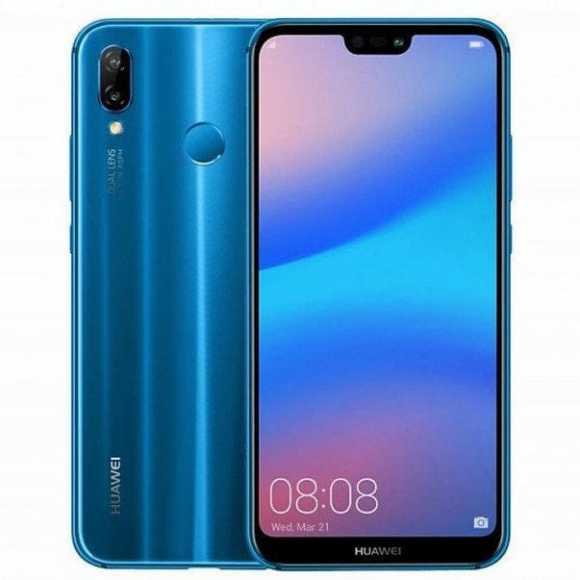 The average band of Huawei has been quite revolutionized with the arrival of P20 Lite. No longer simple cheap phones with good performance, but also design that wink at the top of the range and allow you to have a stylish phone even without spending a lot. Yes, because Huawei P20 Lite has a beautiful glass body that creates striking light effects, and a borderless display with the iPhone X style notch. In addition to the beautiful design, we have a large display in a body of small size, with a diagonal of 5.84 inches and Full HD + resolution. The (double) camera is another area on which the Chinese smartphone defends itself in an exemplary way, with a resolution of 16 + 2 Megapixel: if the lighting conditions are propitious, it can take pictures considerably detailed. The 16 MP front camera, which supports face recognition and AR lenses, is also very good. The 3000 mAh battery does not give a stellar autonomy, but still up to expectations. With a large number of Chinese smartphones that has been officialized in recent times, Meizu has always tried to innovate. And it did a lot with this Meizu Pro 7, mounting a double display on it. Its main screen is 5.2 inches with Super AMOLED technology and Full HD resolution, while the second, placed on the back, is a 1.9-inch mini-screen, but always AMOLED. The second screen is very convenient to check the main information such as notifications, time, weather, physical activity statistics and more. All while consuming very little energy as it is a very small display. The normal screen, on the other hand, has very natural and bright colors. Meizu Pro 7 has a 1.6 GHz MediaTek Helio P25 octa-core chipset, 4 GB RAM and 64 GB memory. Despite the mid-range chipset as a performance, we are at a very good level as it is always very fluid and holds many apps without ever hitching up easily. It also has an excellent dual 12 MP camera capable of capturing a lot of light for clear and detailed shots even when conditions are adverse. The camera software is very rich in features and optimizations to improve the shots and videos. There are 3000 mAh of battery and are optimized very well since, even if you use it continuously and intensely, it will last you a day safely. If you know this brand from the beginning, you might be wondering why we have included Motorola among the best Chinese smartphones: well, it was acquired by Lenovo, but it has not stopped being wonderful. And this Moto G6 Plus is proof of this, given that it is the maximum iteration of the midrange smartphone.While offering a very aggressive price, it has a premium design, with a beautiful glass shell and metal profile, mostly water-repellent. And has a very large 5.9-inch screen in Full HD + very comfortable and great detail, with a fingerprint reader underneath despite the edges contained thanks to the 18: 9 format. There are different configurations of this device that provide 4 or 6 GB of RAM and 64 or 128 GB of expandable memory, but in any case, we have the Qualcomm Snapdragon 630 SoC. 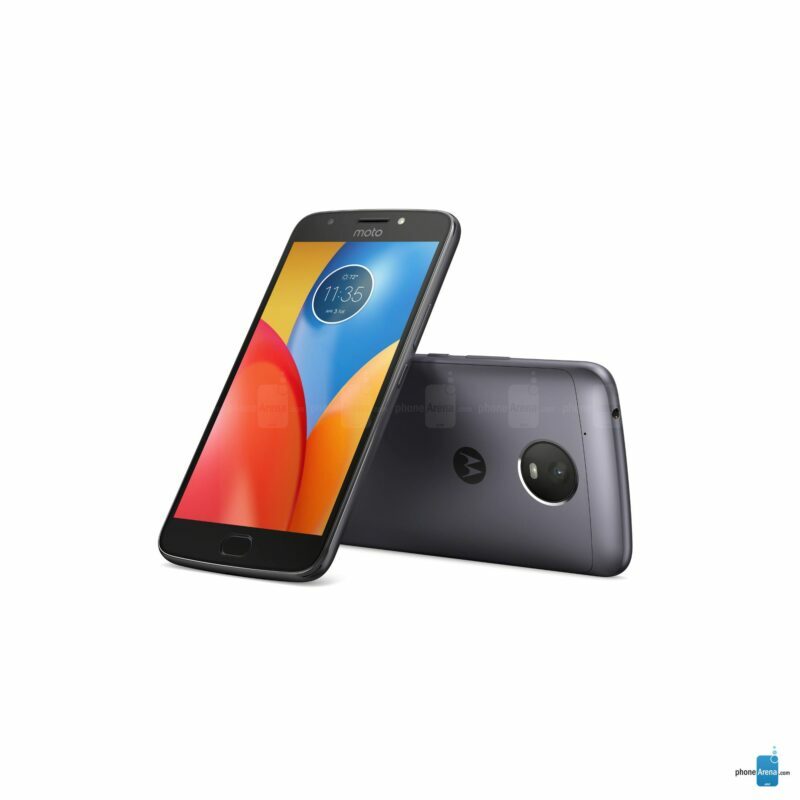 Motorola Moto G6 Plus is one of those Chinese smartphones that can combine performance and efficiency to perfection. Its processor has low power consumption but is constant in performance, and combined with a large amount of RAM leaves little chance of slowness. At the same time, the 3200 mAh battery life never disappoints. On board this device there is also a dual 12 and 5 MP camera with very bright aperture f / 1.7, which means that it manages to get along very well even in poor light conditions. 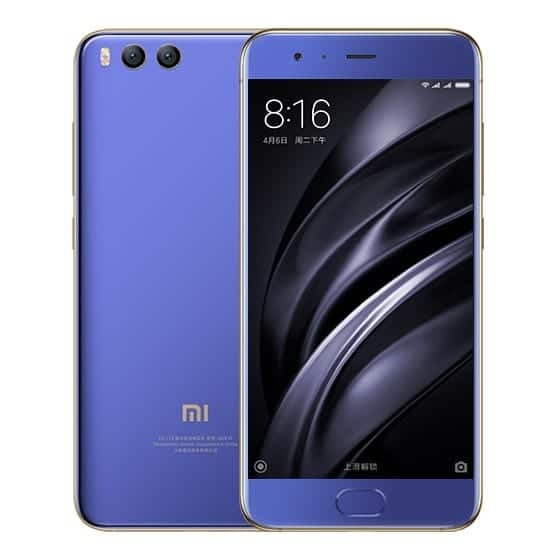 The Xiaomi Mi6 is part of that array of top-end but cheap Chinese smartphones. It hides a Snapdragon 835 processor that is a war machine and 6 GB of RAM: hardware superior to devices like Sony Xperia XZ Premium, as well as the same hardware of OnePlus 5T. Yet it can be found at much less than 500 euros in both the 64 and 128 GB versions. Supersonic speed and adaptation to the most miserable scenarios of resources such as gaming and multi-tasking are his workhorses. It is also a compact device with a commendable design. It has a glass body and a stainless steel frame, and a 5.15-inch Full HD display with high brightness and beautiful colors. The dual 12 MP camera is not the prerogative of the best flagships but still gives you manual shots when there is light. Despite the compactness, there is a battery with an important size of 3350 mAh that if not stressed too much exceeds the day, and it also recharges very quickly with Quick Charge 3.0. In the wake of Xiaomi devices we recommend Honor View 10, another powerful high-end, but contained in the price. In this device houses a Kirin 970 processor (the best of Huawei) with 6 GB of RAM and 128 GB of memory. You can already imagine from the data on paper the performance: unprecedented speed, fluidity perennial, also great for heavy apps like video games. The absence of performance limits is added to the artificial intelligence support, used to automatically improve the photos and the user experience. A little ‘saving has been on the design, classic metal unibody, and on the display, a classic Full HD + with LCD technology, but with a diagonal of 6 inches that makes it extremely comfortable for productivity and multimedia. Very good the dual camera 16 and 20 MP, with brilliant shots and clear, but we are not at the level of the best Chinese smartphone ever. The well 3750 mAh make themselves felt very well: this smartphone lasts almost never less than a day and can get up to 2 days if not stressed excessively. 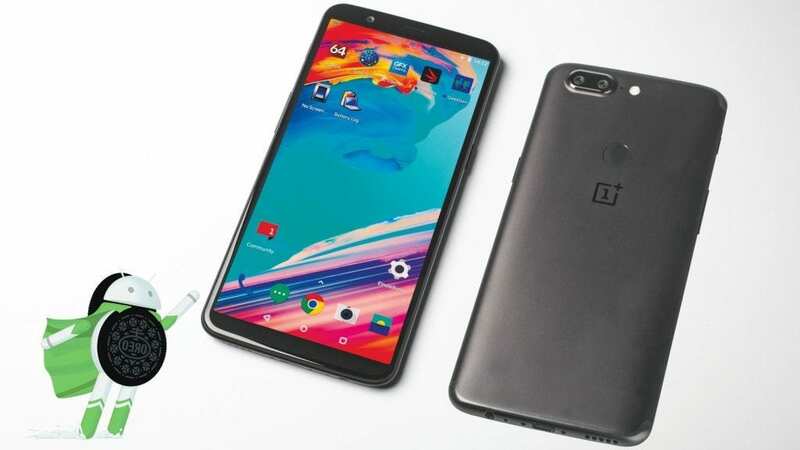 The manufacturer OnePlus is the emblem of top-of-the-range smartphones, and OnePlus 5T is a flagship model that has proven to be the fastest Android smartphone in the world, despite costs hundreds of euro less to the flagships of mainstream brands. It has a Snapdragon 835 SoC and up to 8 GB of RAM depending on the variant, with a maximum amount of memory that amounts to 128 GB (UFS 2.1). This Chinese smartphone takes its responsiveness not only from the hardware but also from an impeccable software optimization, with an Android experience close to the stock version. Although the design is a bit ‘anonymous (unibody in aluminum) the build quality is remarkable, and the 6.01-inch Full HD + display with Optic AMOLED technology has very deep blacks and very natural colors. The dual 16 and 20 MP camera will not be the best in the world, but among Chinese smartphones has very few rivals with its bright aperture f / 1.7 and 2x optical zoom without loss of definition. It uses a special technology to capture a lot of light called Intelligent Pixel Technology. Even the 3300 mAh battery is optimized just as well as the hardware so that both in standby and when used continuously has an incredible range (never lasts less than a day). 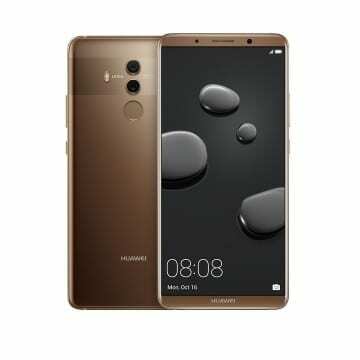 Now let’s move on to devices that define perfect is a euphemism, because this Huawei Mate 10 Pro has practically nothing wrong. Other than Chinese smartphones, here we have one of the best devices ever existed. It starts with design, exceptional with its mix of glass and metal and waterproofing (IP67). It continues with a 6-inch AMOLED and Full HD + display that has very few competitors with its HDR technology and an amazing color gamut. And if you do not even have a large display, you can even turn your smartphone into a PC by connecting it to a monitor and adapting the user interface automatically. This device has all the credentials to become a real PC since it has a Kirin 970 processor and 6 GB of RAM that not even Android with all its resources can ever put in trouble. An LTE modem that breaks down the Gigabit wall and artificial intelligence is just the outline of a performance-friendly device. We are at the highest levels even with the camera. On board there is a double Leica 20 + 12 MP camera with f / 1.6 aperture: according to the DxOMark platform, it is among the top 10 in the world, and also according to us. It does not matter if there is little or so much light: the noise is minimal and the shots are excellent in every detail. There is also artificial intelligence to help to adjust parameters intelligently without user intervention. A 4000 mAh battery provides an amazing autonomy, and you can get to 2 days with a single charge for medium use. The most powerful Xiaomi smartphone, as well as the device that among Chinese and non-Chinese smartphones, has the most spectacular hardware. Qualcomm’s latest processor plays under the body of Xiaomi Mi Mix 2S: the 2.8 GHz octa-core Snapdragon 845, which mates with 6 or 8 GB of RAM and up to 256 GB of internal memory depending on the configuration. You will understand that the best hardware sector also derives unsurpassed performance: this device is the emblem of speed and responsiveness, never gives signs of failure and is suitable for heavier games and applications that require more resources. It then has one of the most revolutionary designs, with incredibly thin edges and a ceramic shell that makes it unique. Xiaomi lately has managed to improve even on the camera side: in fact, the dual 12 Megapixel camera that has Mi Mix 2S is almost at the level of that of Galaxy S9 and Huawei P20 Pro, which are the top camera phone of the moment. The screen is 5.99 inches, in Full HD +, infinitely above average but one step below the best displays. Crown a performance data sheet a 3400 mAh battery that ends the stress day with over a fifth of remaining charge. Huawei P20 Pro is the king of Chinese smartphones, even if its aesthetics have done a lot of debate. The glass back is undoubtedly impressive, especially in shades, while the front is characterized by a borderless design with notch style iPhone X, and a home button under the screen. The smartphone is waterproof and dustproof. 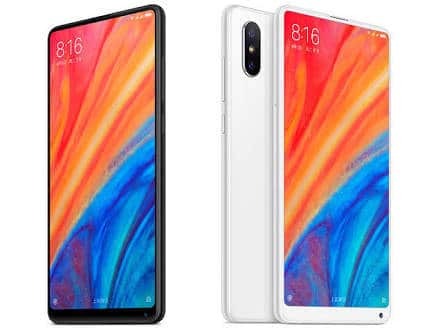 It has a 6.1-inch AMOLED screen with Full HD + resolution that has a crazy performance: despite the notch that has made many people turn up their noses, you can not criticize the performance of this screen with painstakingly faithful colors and absolute blacks. But in reality, it is the photographic side on which this device points that can be defined as the best camera phone among Chinese smartphones and all the other brands. It has the first triple camera on the market, with resolutions of 40 Megapixels, 20 and 8 Megapixels, and with lots of Leica optics. The detail is maximum, can make a 3x zoom without loss of detail, snaps very well in all light conditions, focuses in an impeccable way and very quickly: virtually has no flaws. With the performance, we are very close to the top thanks to the SoC Kirin 970 and 6 GB of RAM combined with 128 GB of memory, not to mention the 4000 mAh battery with long duration (covered day completely for intensive use).